Leading video game developer known British Codemasters has just been shut down its site after a hacker managed to break into and steal rampant customer data. The incident itself occurred on 3 June. And related it, the Codemasters took a week to determine the extent of infringement and damages. The game developers have been warned to its customers via email on Friday and then if the attacker could steal the name and address of the home / office, email addresses, phone numbers, passwords encrypted and that the customer's order history from Codemasters eStore. No problems so far in financial terms because fortunately the company uses an external payment processor and does not store the type of data on a server they own. 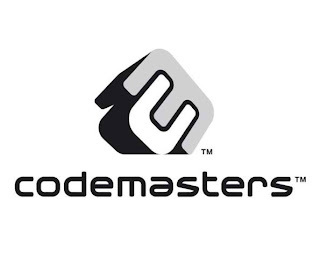 In addition eStore Codemasters, Codemasters CodeM database has also been burglarized that expose member names, user name, screen name, email address, birth date, encrypted passwords, preferences newsletter, biography, details of their activities last site, the IP address and Xbox Live Gamertags. The hackers also have penetrated access to the code page 3 VIP DiRT payment, as well as sites and sub-domains company Codemasters. Related to that, the company immediately shut down all public sites and switch its customers to her Facebook page. While the company rebuilt from scratch, codemasters.com site will likely remain offline for an undetermined time. Codemasters has urged the company to its customers to change their passwords on all properties Codemasters, as well as other online sites where they may have used it. As with all cases of data breaches, affected individuals appear to be wary of email and telephone scams that try to use the information that compromised data and then compromised to get more details of the person concerned.